"It's not a gimmick for me. There is a real genuine love..."
August 2005 is a month that continues to live on in infamy in the minds of most Louisianans. 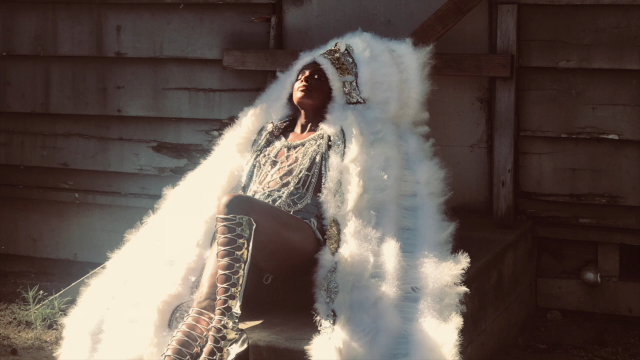 The destruction and devastation caused by Hurricane Katrina was immeasurable and life changing and for young singer Dawn Richard, this cataclysmic event couldn’t have come at a more inappropriate time. With both of her parents readying themselves for retirement and herself launching her music career as part of music mogul Diddy’s latest girl group Danity Kane, Richard had to reevaluate everything. She was on the cusp of stardom, but she made the decision to go home. Fast forward over a decade later and Richard has since launched a solo career and is now using the pseudonym DAWN. You would think that an event that took place so long ago would remain in her past, but this is far from the truth. In some ways, this was the making of her. 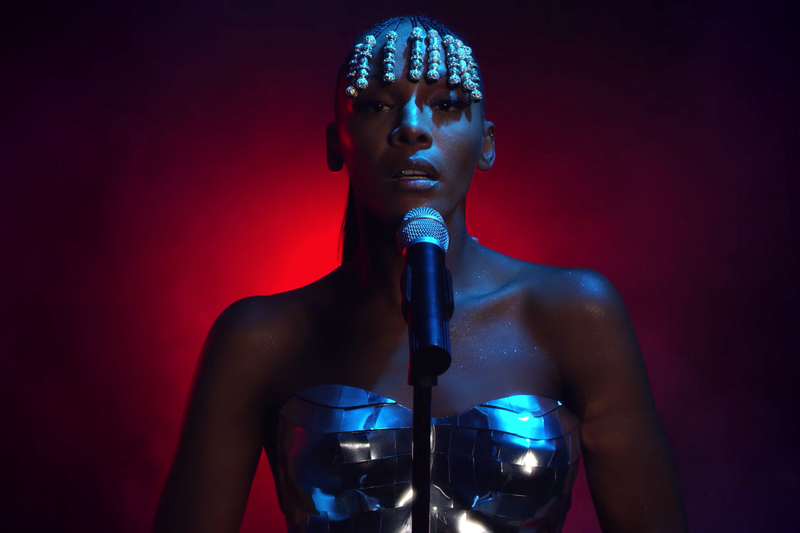 The tough decision to return to New Orleans served as a basis for her latest album ‘new breed’. Clash caught up with DAWN to find out more about her latest album and the many inspirations behind it. Do you feel a weight off your shoulders? As you've spent two years away working on this album, how important was that break artistically? It was great. It was good to just be home, to see my parents’ faces. To be back and, I don’t know if I could ever describe to anyone how it feels to watch your parents, at 50, lose everything and see them have to try to figure it out when Katrina happened. My parents have always been people that have just figured it out. They didn't have a lot but they managed to give my brother and I really great lives because they work really hard, so to watch my mom’s business and everything that my dad built - to watch them not know what to do, that was hard. To see their faces when they're home again and they look like joy. It was great to see them in the element again, so that in itself, that was inspiration enough for me to say okay, I'm going to take my time with this one, but I'm going to tell the story the right way. With Katrina and going back to New Orleans effectively being the crux for the album, why did you decide that this was the right time to talk about something that's so integral to you as an artist and as a person? I always wanted to tell the story but in the time where my career just started, we lost everything. In the midst of that whirlwind when with Danity Kane and Dirty Money once it took off, I was subjected to having to be wherever the music was, wherever my boss or wherever the labels needed us to be. So you know, in the meantime, on top of that, I had to supply for my family who had no home. So, my parents had to move and figure it out and so we never had an opportunity to go back and really do what we wanted to do. We were just trying to survive at that point and one year turned into three, four, five, and then it was ten. Ten years. My parents were supposed to retire at the time Katrina happened. So they added ten more years after they were supposed to retire. You know, my brother and I talked and we said “No, you're going home”. I think the moment we said that to them, we all knew it was time. You know, I looked up and I looked at my work and this was at the ten year mark of Katrina and I was like, man, I never told that story. Even for example, the idea to have the Mardi Gras Indians on the album. I couldn't have done that, any other way but being home. There was just no other way to get Chief Montana [tribe leader of Washitaw Nation] on the record and getting him to hand sew the crown that I wear on the album, those are things I couldn't have done had I not gone back. It took that long for me to revisit, to even tell the story, because it was an opportunity for me to now be in front of the people that had been displaced for so long. Sonically, it's quite an eclectic album, but New Orleans is known for being a melting pot of sounds. Did you feel like you had to be there in order to achieve these different sounds? I don't think I had to be anything. I've been doing this for a long time, you know, so I think all my music is reflective of that. I think really, that's a testament to New Orleans. I do agree with you though, New Orleans is a gumbo. People call it ‘Gumbo City’ because we're mixed with everything. That's the truth with our music as well. We’ve got jazz, funk, blues, to hip-hop, to bounce cultures. These are the levels of what we've accomplished musically. Long before I did this album, I've always tried to push genres, not because I wanted to be this different entity, but just because it was just naturally what I know. You walk down just one block in New Orleans and you’ll hear all genres. New Orleans is obviously a big, influential city, but recently it's really permeated into mainstream culture, whether it’s Drake featuring Big Freedia in his work or filming the ‘In My Feelings' video there. Even in Top 40 music, you can definitely increasingly hear bounce influences. How do you feel about New Orleans’ music becoming more of a pop culture mainstay? It’s about time! People have been sleeping too long! We know our city, we have pride in our city and we dance in the streets daily. I'm happy that people notice it now, and also the things that you've named are even still limited. Even though our culture is just getting to the forefront, it’s still just bounce music and a little bit of jazz. We’re so much more than that and this album speaks to that. New Orleans isn’t just it’s past - it’s the future, and that’s what I'm trying to push this album to be. To show that it can be female. A lot of the representation from New Orleans you see, a lot of the love coming is from the male side of things but you don't see all the women who are incredible that have come out of here like Ledisi or Teedra Moses who were pioneers long before this who didn't get their dues. I want to be known as one of the artists who pioneered a new sound for New Orleans while respecting the heritage right so ‘new breed’ speaks to that. I also think this is the first time you really see the Mardi Gras image being pushed to the forefront and most of the time when you research the Indians, you see the little stories, but it never dives deep enough. You haven't seen that artistically presented. I love the headdress. The reason why I love headdress because we grew up waking up and looking out the window and seeing Mardi Gras Indians wearing these extravagant costumes. So, I want to expose that and I want to do it in a way that’s youthful, young and relatable to the new generation coming up, because I don't think they really have an idea of how this is rooted in our culture. I want to really show traditionally why we got to the bounce culture that’s so big right now and how it came out of one of the cities that is the most rich in culture in the United States. 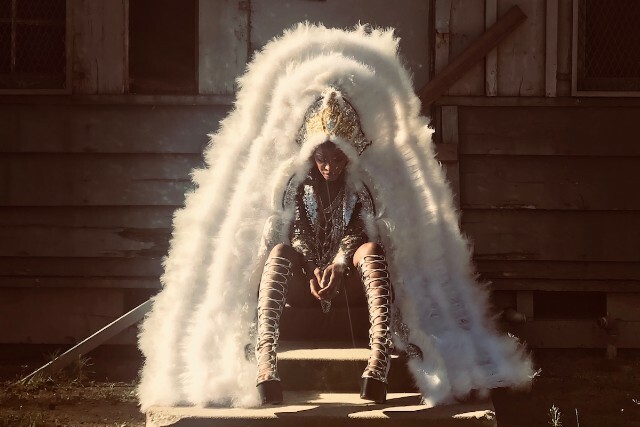 You mention New Orleans being rich in culture, I think given the socio-political climate we're living in, that's an incredibly important message to portray and show that culture is something to be celebrated rather than divisive. If you don’t mind touching on the politics, how have you personally found that this relates to you? I don’t mind being political at all, because I've been through it, I'm not afraid to speak on a city that is predominantly black. There are a lot of brown faces. When Katrina happened, it was bad. Now Flint, Michigan is still bad, they still don't have water. But in the midst of all, instead of being angry, we choose to go back to the community and build it ourselves. Even for example, the Super Bowl, we didn’t make it and it really sucked and everyone was so upset, but New Orleans does it differently. We got up in the middle of the street, danced for hours and shut down the entire city. Just people in the middle of the street dancing. No crime, black people everywhere, shutting down the highways. We dance in the midst of everything. We unify. That is the nature of who we are, and I just wanted to create an album that spoke to why we are 'new breed'. They are choosing to dance and be unapologetically who they are, and that's what the album speaks to as a 'new breed'. We don't care if the rest of the world doesn't see it or care about us. Regardless of whether the president or the government see us. Just giving a voice to those who are being looked down on. Oftentimes, people want to show pride and tell stories that can often result in them speaking for other people. How were you able to balance expressing your lived experience as opposed to speaking for people? I’ve always been from New Orleans, even from me being in the line to audition for Making the Band. Even though it's bittersweet because we had to be homeless, I think it was a blessing because it gave me a new eye to something. People always ask me “How did you survive?” or say that my story is so crazy. I got an opportunity to be at the best of the mainstream, working with some of the best in the business and then it was stripped from me, not because I wanted to go but because my boss decided he wanted to break the girl group up, then I tried it again and he decided he didn't want to do it again. I've never really had an opportunity to control these moments and I promised myself that I would keep trying. People always ask how I keep going and it’s because that's what we've always had to do as a city and I realized that when I went back home. It was so evident to me when I saw people coming back to homes that were destroyed and they refused to say you that they were going to leave the city and they came back to it and rebuilt. You can really see the pride in their eyes. I spoke to Chief Montana and we're going to be coming out with a documentary and some of the footage is from the jealousy video and you can just see the pride in everyone’s faces. I didn’t make that up and I couldn’t make that up. You have a black man speaking about African culture and Choctaw Indians as if they were his own family. That can’t come from me so that's why I wanted them to speak on it. You know, we feature women who can't read or write but they can speak at length on their experiences and speak maybe four languages. They had to teach themselves how to come up in a place with slavery and segregation. My mom and dad drank from a different water fountain. That's only one generation away and that’s all so real to me. It's not a gimmick for me. There is a real genuine love... it’s my way of saying: thank you. I just wanted to release something to show people the truth of the matter and I’m glad that I’m in the position to be able to do it. 'new breed' is out now on Local Action.